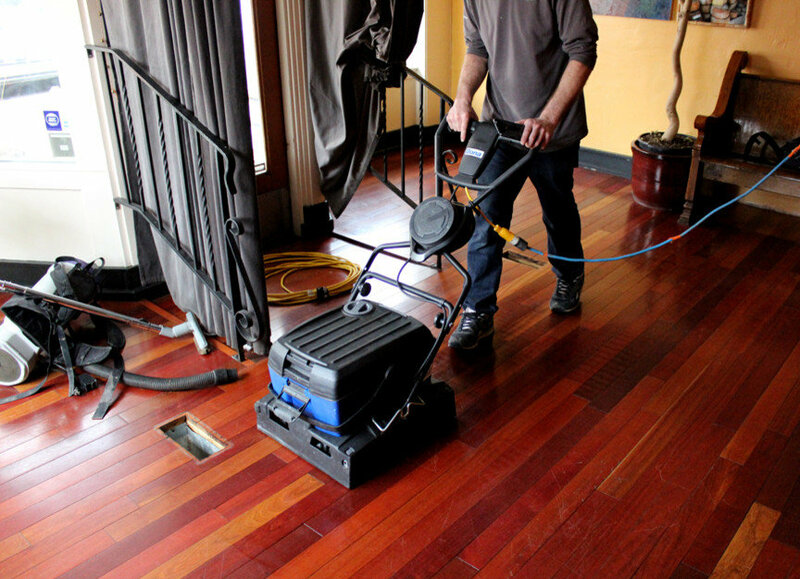 Have your floors professionally deep cleaned, to remove tough dirt and grime, with a powerful scrubbing machine and Bona's specially formulated professional hardwood floor deep clean solution. This process is minimally invasive, with no lingering odors or lengthy dry times. 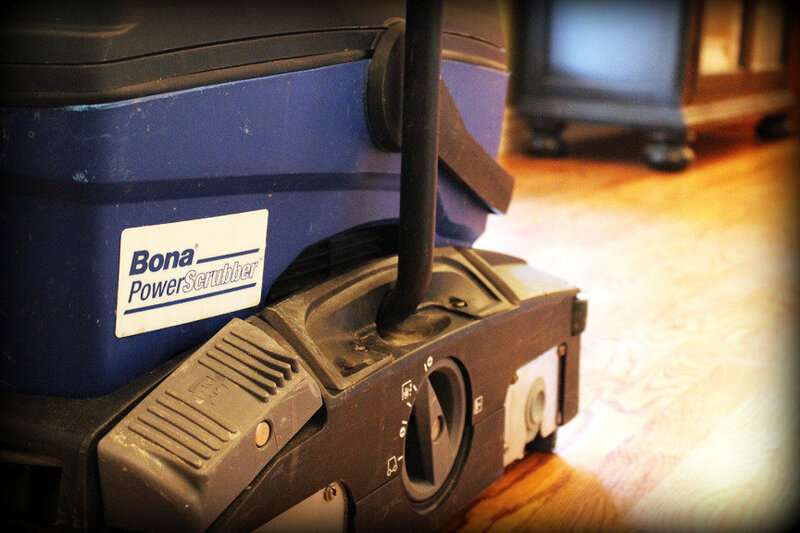 Call us today to learn more about having your hardwood flooring brought back to life with the Bona Deep Clean System. 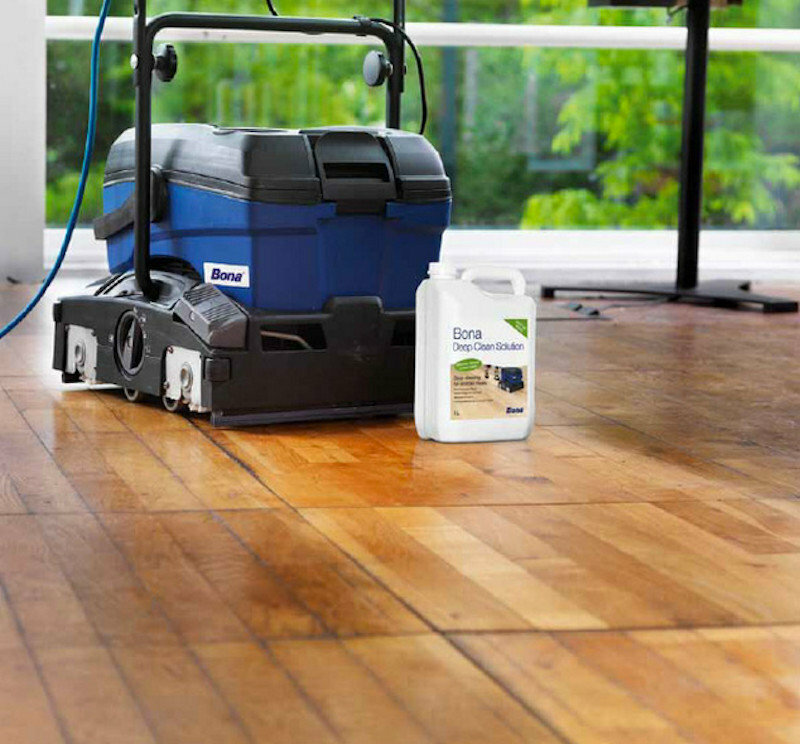 The Bona Deep Clean System provides a thorough, uniform cleaning and conditioning for your poly-finished hardwood floor. Besides the removal of grime and unwanted deposits, note the uniform sheen and visible reduction in carpet/furniture shadows in the image on the right. It's surprising (and a little unsettling) how much oil, dirt, grime and dirt hardwood flooring will collect, even with regular cleaning. The Bona Deep Clean System provides a commercial-grade cleaning service to get all of those contaminants out of your floor. Bona's proprietary scrubbing machine is a self-contained cleaning unit that applies the cleaning solution, scrubs out dirt and grime, and stores the dirty solution for disposal. 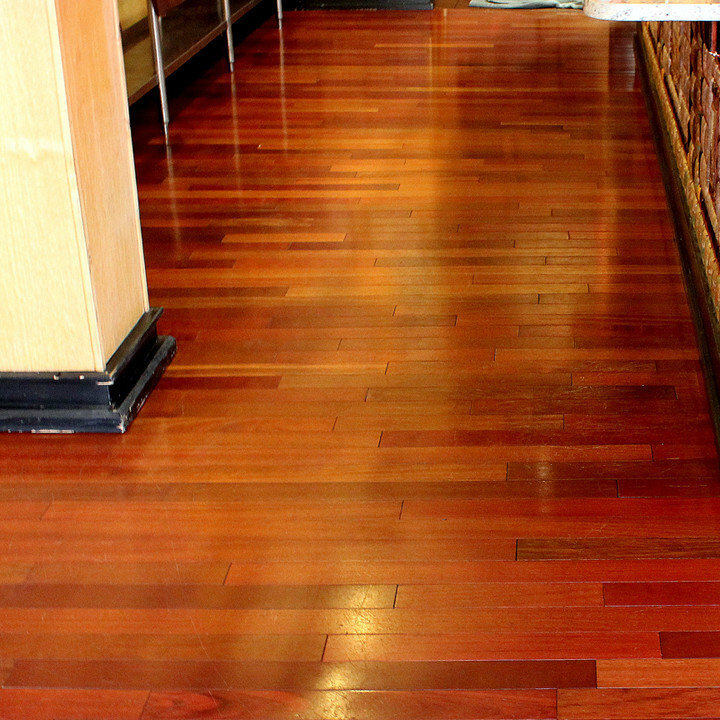 A floor cleaned with the Bona Deep Clean system shines like new, even in busy spaces like this restaurant dining room. 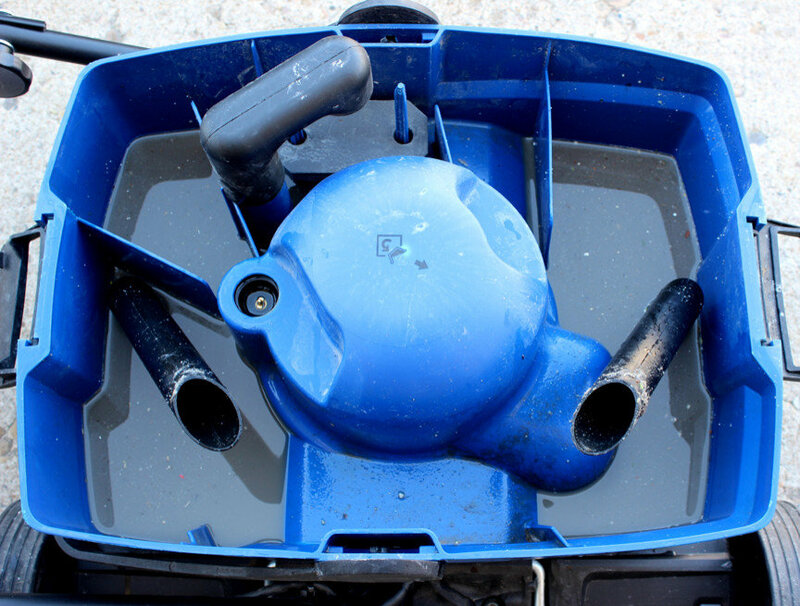 Let Bona's Power Scrubber do the dirty work for you! The deep cleaning solution is Greenguard Children and Schools certified, with low VOCs. 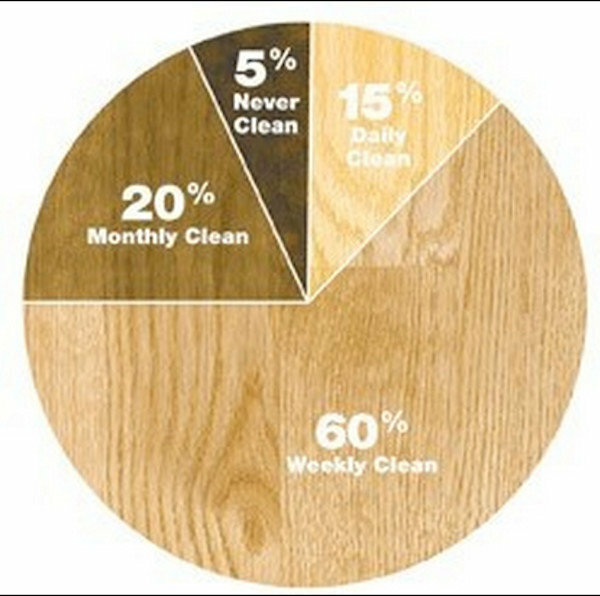 This chart shows how often American homeowners typically clean their hardwood floors. While a weekly clean is a great way to manage dust and grime, going seven days between cleanings means ample time for dirty water, grease and solvents to work their way into your floor.